Cash Finder System Review: helps you find cash? Scam Alert! If you are looking for a Cash Finder System review – you are in the right place. We are going to talk about a well-made scam. We think that you should avoid this system by any means. Why is Cash Finder system a scam? Because it comes with each and every scam attribute! Let’s start with a video presentation in their main website ensure you that their system will bring you first $3,000, then $5,000 and eventually $10,000 on the daily basis after you start using it. Such information, like the one that represented on this promotional video, can easily mislead thousands of people all around the world. Basically, we are talking about people without experience in such area. The represented video claiming that users’ part in the system is as simple as it possible. They say that you’ll make a bunch of money as you selling for the highest price. Basically, you are middlemen of the real estate market. After you visit the main site, you’ll face a video review, which is an explanation of what the system all about and how you can benefit with it. This presentation is aimed to convince you that it’s not necessary to do something to become a successful middleman. All you have to do is to connect sellers with buyers. The system wants to convince you that everything will be as easy as it possible. After watching this video, it looks like the real estate business is spectacularly easy (no, it isn’t). If you want to try yourself as the investor, and you don’t have any experience, you have to learn about the system in which you invest your hard earned money. Let’s talk about Lee. He is (in accordance to his words, not in fact) the owner of the Cash Finder system, and he claims that the benefit that user is going to get it is so-called “finder’s fee”. If you want to start with the system, you have to make a few different steps. First of all, you have to bring a seller, and then you have to find a buyer, connect them with each other. After all, you’ll “get” the profit, e.g. “finder’s fee”. In other words, you basically do the hardest job anyway, all the time. This system tries to ensure that they are already having a market that is just waiting for you. But they don’t. Furthermore, if you ask anyone who is already in this system, he is definitely already counting his losses. Thus, you have to be aware of such scam systems. After watching the presentation video, you can have two conclusions: first is that people who run this system have no idea how the real estate market works, and the second is that they are related to some fraud system. As far as we know, it is more like a training tutorial that aimed to steal $100 from you, no more, no less. But how can you teach anybody if you don’t know anything about the real estate business? That’s a question. 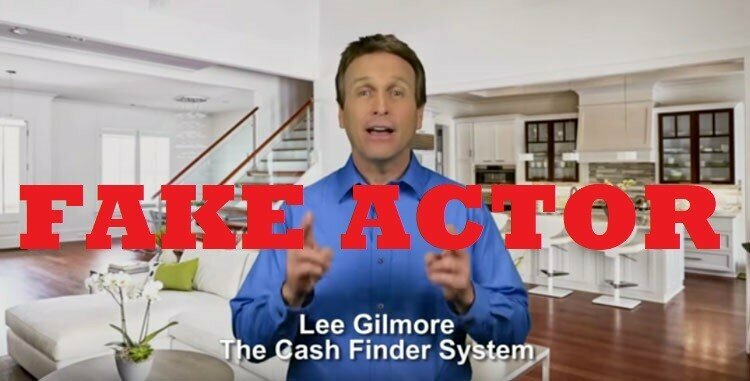 People behind the Cash Finder System are not real estate professionals. In accordance to Cash Finder application, you can see that it is fulfilled with different World Bank checks. They are definitely trying to create the impression that you can easily earn from $3,000 to $15,000 on the daily basis without any risk. Even more, those who run the Cash Finder convince you that it doesn’t matter if you have any experience level in the real estate. Anyone who in their mind will not take this system seriously. This system is not helping you to earn money, it only looking for your pocket. Is Cash Finder Application Even Free? The creators of Cash Finder Scam trying to make the impression that this system comes with free access and there are no hidden fees, but you have to subscribe and pay $99 for this. What do you get for one hundred dollars? Basically, you’ll get the possibility to work for peanuts without a possible way to refund your money. Second evidence that was spotted is that Cash Finder System hiring a lot of fake actors. Our fellows “Lee” and his “friend”, who want to make an impression of a business expert in the real estate area are just two actors, and it is pretty simple to find them on Fiverr. That’s it: we have fake checks, fake actors, fake promises and the whole fake scam system that is begging for easy money. Don’t allow these fraudsters to cheat you and literally steal your hard earned money. Cash Finder System is a fraud program designed by scammers. This Cash Finder System review is aimed to aware the real estate business novices. First of all, ask yourself: isn’t it suspicious that in such hard-to-reach and tough markets like the real estate, where each dollar is earned with sweat and blood, you can find somebody who will bring you deals on a silver platter for $99? Sounds suspicious, isn’t it? Instead of making big money from such system, you actually give one hundred dollars to a stranger without any possible way to refund your money. Their videos are full of lies, all the representatives of the company are fake actors and who promise that you’ll live in the fairy tale. Of course, after you give them some money first. There is no single proof by authorities that this system is legal. But what about the alternatives to Cash Finder app? You can try the Tool Trades system. This system will not bring you bags fulfilled with gold and treasures; instead, it will only help you to be in touch with current trends. It calculates the possibilities; it doesn’t pretend that there is one straight option. It makes accurate statistical calculations because it runs with a well-made algorithm. You can regard it as an assistant system, which will save your time and energy on the boring routine operations, so you can focus on your main goal: make the right choice and earn money. We hope that this article helped you a lot and saved your money from a few scammers. There are thousands and thousands of fake accounts, binary options, and real estate scammers that sing sweetly and can easily brainwash an unprepared novice. Remember safety first, especially when it comes to investments. If you would like, you can leave a comment about the subject in the section below. Previous PostTo do or not to do: Click Money System, is it a scam? Next PostStockbit Review – who are they and what do they do?